Crystal has graduated from a Dog Training Certification Program of the prestigious Karen Pryor Academy, one of the world’s leading institutions of force-free dog training. She is an honors graduate of Animal Behavior College, a nationally certified professional dog trainer, and a Full member of the Association for Pet Dog Trainers (APDT). Crystal owns Delightful Dog, LLC Before starting Delightful Dog, Crystal worked as a pet trainer at a national pet store chain. She has trained and fostered dogs at the Humane Society of Southern Arizona (HSSA), both as a volunteer and as a dog training intern. Crystal holds a Bachelor of Science in Biology—an area of lifelong interest that guides her wholly science-based and dog-friendly approach to training. Crystal prides herself on staying at the forefront of canine behavior modification and training techniques. She attends workshops by leading instructors in the field on a regular basis. 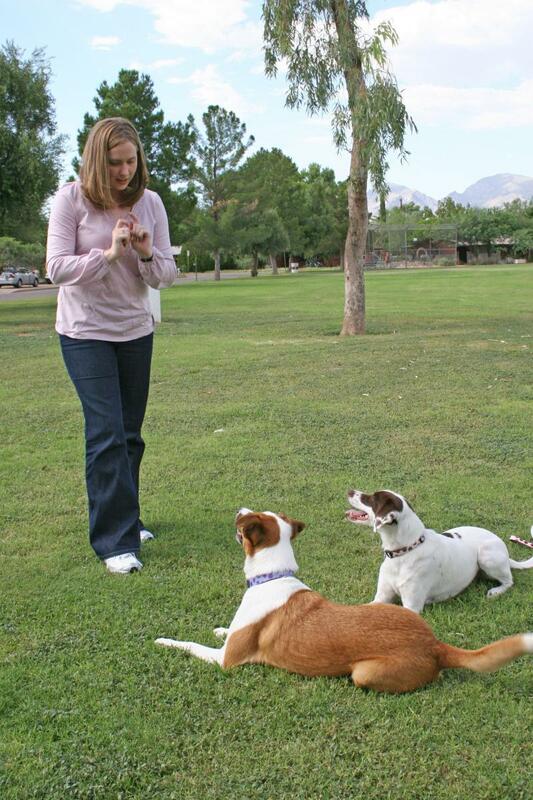 Crystal uses only humane, reward-based training methods that draw upon the latest canine behavioral science. The training tools are clickers, toys, treats, praise, and life rewards (doors opened, balls thrown, etc. )—and the training principles are the ones used by professional animal trainers everywhere, from the entertainment industry to zoos. Reward-based training is effective, fast, and reliable. It produces lasting changes in behavior without physical force or threats.